taking a man's manhood in Osun. The lady was assaulted, beaten and humiliated by the group following the stunning claim. 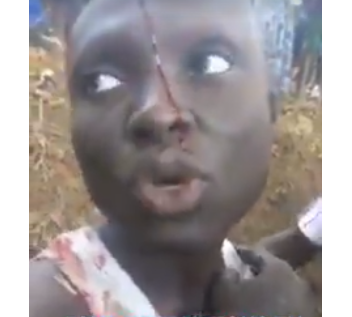 She was gotten by a man close Wema bank at roundabout in Ilesa territory of the state. 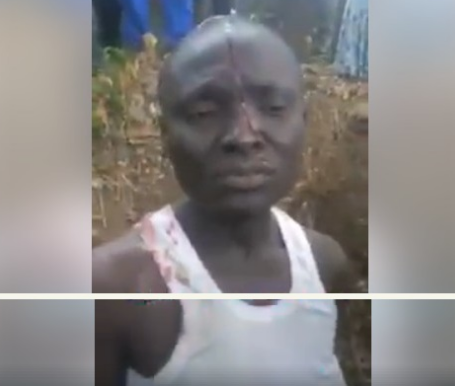 In the incident which was filmed and posted online, the woman who appears to be mentally unstable, can be seen being interrogated by the crowd after she was seriously beaten and stripped off her clothes. When asked how many manhood she has stolen, she said 60 and smiled, a gesture which earned her more beating. Internet users have reacted to the video – with many claiming the woman is mentally unbalanced and might have confessed out of duress.